I had just purchased my first wood boat, a 1949 22’ Shepherd utility, as I launched Snake Mountain Boatworks. I knew much about wood from my 30 years restoring antique American clocks. Even tall case clocks are miniscule compared to wood boats in general and the monstrous Shepherd. Clearly I had much to learn, as did John, an experienced finish carpenter and cabinetmaker, who would be my first employee. One thing was certain. The challenges and techniques presented by preserving wood clock cases and movements, trimming out interior doors, and building kitchen cabinets paled by comparison to what this hulking beast that stood glowering at us would need. I made one decision that has guided all that we do. Ours would be a preservation shop, not a “restoration” shop. No piece of wood that could be saved would be replaced. Nor would we “restore” one of these magnificent artifacts of history by replacing topside, transom and deck planking. An old boat is only old once, and that includes the original wood fastened to her as she left her factory. So… what to do? Given my 41 years as a college teacher, the answer was straightforward. Buy and read books. Until I happened on Don Danenberg, doing so was an exercise in frustration. So many of these books were packed with content that was true, but again and again, I found it wanting. Almost none of it was actionable. Then Danenberg’s two volume The Complete Wooden Runabout Restoration Guide. Yes, its contents were just as true as other boat books’, but there was a major and material difference. Danenberg’s content is 100% actionable, if not just a bit intimidating to the uninitiated wood boat preservation wannabes like us. But we preserved and we learned. Each of us had our own copies in addition to the one that, albeit a bit dog-eared by now, lives in the shop as I type. As we learned and as we first preserved “Class of ’49,” the Shepherd that started it all, and then “Little Chief,” a 1948 18’ Chris-Craft Deluxe Utility who now lives in Salzburg, Austria. No longer intimidated by Danenberg’s blunt guidance, we also began evolving variations on his themes as we developed sources, methods and materials that delivered the highest standards of craftsmanship in a preservation environment where simply installing a new plank when an original one proves cranky just does not happen. The teacher in me challenged me. How can we share what we are learning, including our mistakes, with other aspiring wood boat preservationists? I especially wanted to help owners and their families learn and use sources and methods that work for us. Then one day I happened on a YouTube video offering (incorrect) guidance on bleaching wood hulls. “No! Don’t do that!” And our channel, www.youtube.com/snakemtboatworks, was launched. Now is the moment to take that sharing process one step further. Navigating YouTube’s search engine is at best challenging, and at worst down right awful. Following below is a library of our 500+ videos focusing on “how-to…” Our how-to YouTube Channel videos are organized by task. Be sure not to miss reading the detailed narratives that accompany each clip. Here you learn the why and wherefore of each activity as well as the names and where to buy the materials and tools we use. Ours is a living library that will grow as we shoot and upload additional how-to videos so please keep coming back to see what we have added. 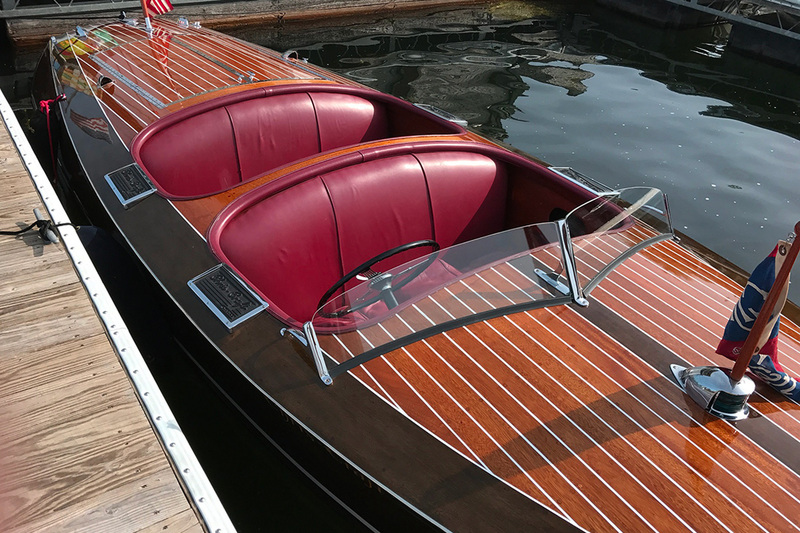 We also provide some general guidance in with our Vintage Boat Preservation 101 tips and helpful links with our Materials and Sources list. Enjoy!